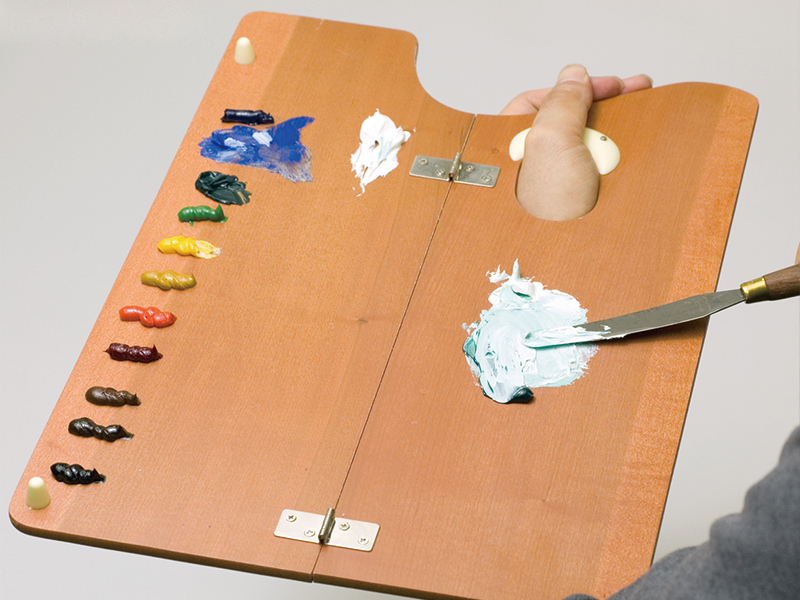 Palette knives are spatula-shaped tools used primarily in the composition of oil paintings, to mix, remove, and spread paints and mediums on palettes. Palette knives are long, thin spatulas, or “blades,” of roughly 6-15 centimeters in length, which project from a knife-like handle. The blade portion has a rounded end, is slightly thicker than a painting knife, and has more rigidity when bent. 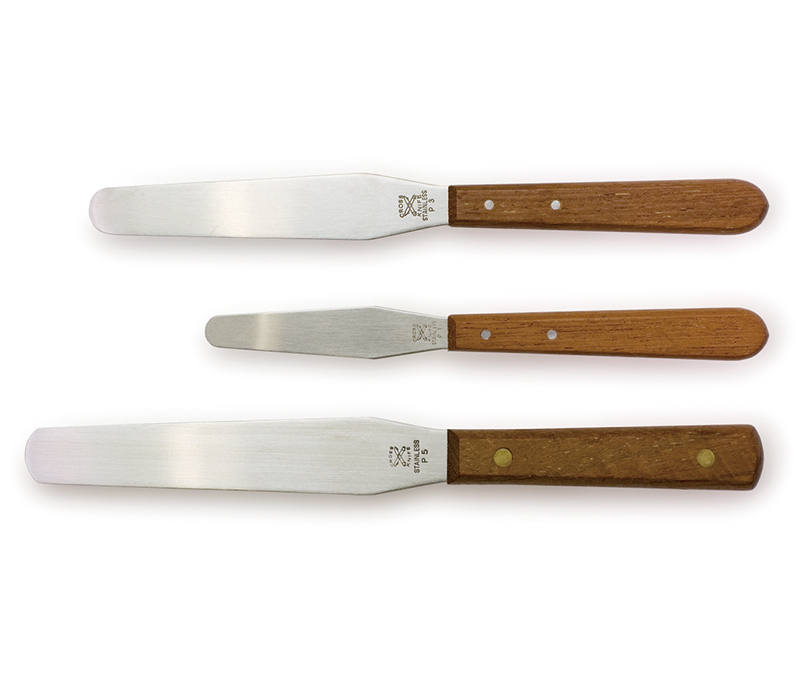 The standard design is a more-or-less straight handle and blade, but there is another type, known as a trowel-shaped palette knife, whose blade is angled at the base. This design reduces the chances that the artist will get paint on his or her hands. Palette knife blades are made of metal, such as iron steel and stainless steel, and the handles are made of wood or plastic. 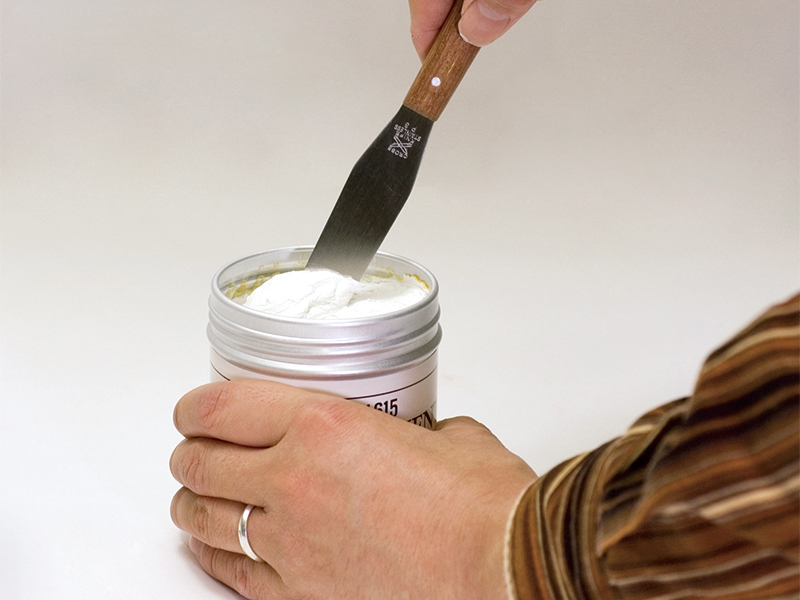 In the case of water-soluble paints such as acrylics, knives with handles and blades made of plastics, such as polypropylene, are available. Prior to the palette knives that are available today, artists employed various thin wooden boards and broad spatulas, as well as blades made of ivory and iron. These had various problems in terms of durability and weight, which led to the adoption of the easy-to-use materials and shapes employed today. Palette knives are normally used in blending and adjusting the consistency of paints, removing mediums and other material from containers, and scraping off paints in the process of cleaning palettes. They are not normally used in the process of painting itself, though they may be employed to lay down a base layer on a canvas or to remove paint from a work. 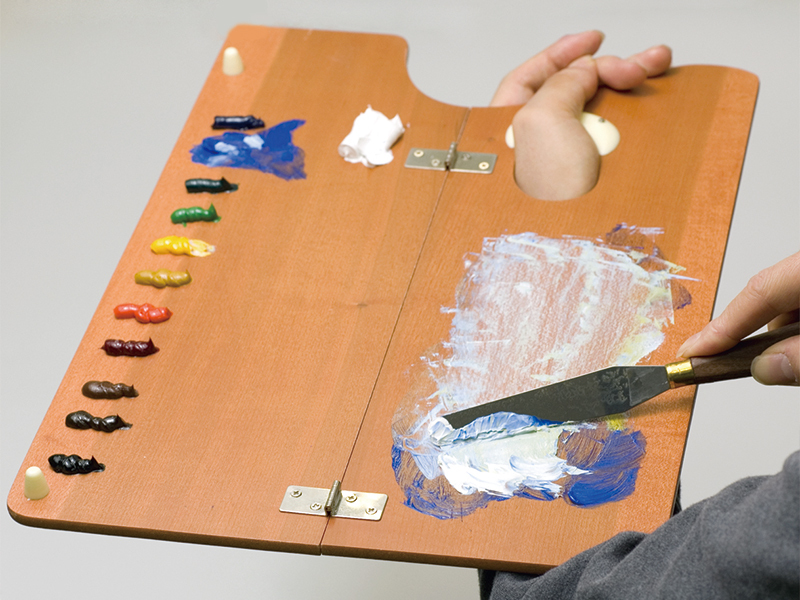 One should remember to clean a palette knife well – wiping off remaining paints with a cloth – in order to avoid unintended color blending the next time it is used. The blade should also be cleaned thoroughly after use in order to avoid corrosion resulting from rust and other causes. Palette knives are available at art supply stores.